Many women in the U.K. are experiencing various forms of hair loss. According to an article at the Daily Mail, women who are under a lot of stress due to their work experience thinning and hair loss before they even reach the age of thirty. 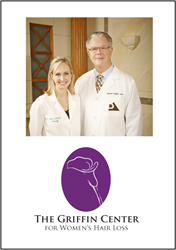 Women suffering from hair loss or hair thinning have a rare opportunity to participate in an FDA clinical trial under the direct supervision of Alan J. Bauman, M.D., one of the nation’s leading hair restoration physicians. Dr. Bauman is conducting this clinical trial on behalf of LaserCap and is seeking women between the ages of 40 and 60, who may be noticing thinner, wispier hair, a smaller ponytail volume, decreasing scalp coverage, a wider part-line or excessive shedding hair in their brush or sink. Men are also invited to participate. 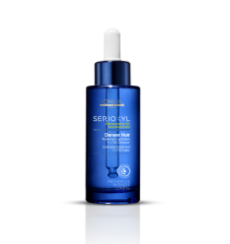 After finding that 76% of women suffer from hair thinning concerns, and 80% of women experience a dramatic loss in confidence after experiencing these problems, L’Oréal Professionel have introduced the Confidence Campaign, in conjunction with their Serioxyl Fuller Hair Growth Super Serums. Hair thinning occurs when the hair follicles enter a prolonged dormant phase and when the hair bulb activity is reduced. Kayla Martell, former Miss America finalist, is speaking out for women experiencing hair loss. More than 30 million women in the US have obvious hair loss, and most suffer in silence not knowing where to go or who to trust for answers. For this reason, Kayla is touring the US, speaking at Women’s Hair Loss Seminars, held to educate women on what causes hair loss and what options are available. Kayla will be guest speaker at this no-obligation seminar hosted by Elite Solutions Hair Loss Specialists of Sacramento on Saturday, May 16, 2015, from 1:00pm to 3:00pm. 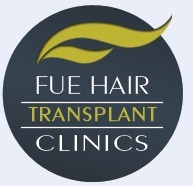 UK hair transplant company, Fue Hair Clinics, has recently commented on the study by the American Hair Loss Association, which has determined a number of select nutrients which can create a significant improvement for women suffering with hair loss. The study has determined that certain nutrients are beneficial to women suffering with hair loss, which affects up to 40% of women. 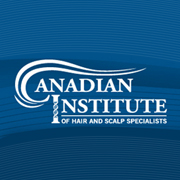 The Canadian Institute of Hair and Scalp Specialists (http://www.canadianhair.ca), a Toronto-based organization offering hair loss treatment for over 25 years, is responding to a recent study making claims that certain nutritional supplements can improve conditions of hair loss in women. A recent study tested the effects nutritional supplements would have on 120 women. The group was split equally between pre-menopausal and postmenopausal (both treatment and control groups) and given supplements containing fish oil, blackcurrant seed oil, vitamin E, vitamin C, and lycopene. A no-obligation Women’s Hair Loss Seminar is scheduled for Tuesday, April 14, 2015, hosted by Invisions of Connecticut of Middlegury, CT. Guest speaker will be former Miss America Finalist, Kayla Martell. Women’s hair loss is a serious concern with more than 30 million women in the US struggling with obviously thinning hair. Yet it’s still a taboo subject. Kayla, who lost her hair at age 11 due to Alopecia, is speaking out: “So many celebrities will admit to adding hair extensions or wearing a wig to protect their own hair, but few will address the real issue of hair loss. Come meet Kayla Martell, 2011 Miss America Finalist, who will be guest speaker at the Women’s Hair Loss Seminar hosted by HCI Hair Solutions on Tuesday, April 21st, 6:30-8:30pm. Having lost her hair at age 11 due to Alopecia, Kayla is dedicated to helping other women deal with their hair loss. HCI Hair Solutions owner Jackie Garcia shares “We had a seminar in October and those attending found Kayla to be so warm, friendly and open to sharing her experience.